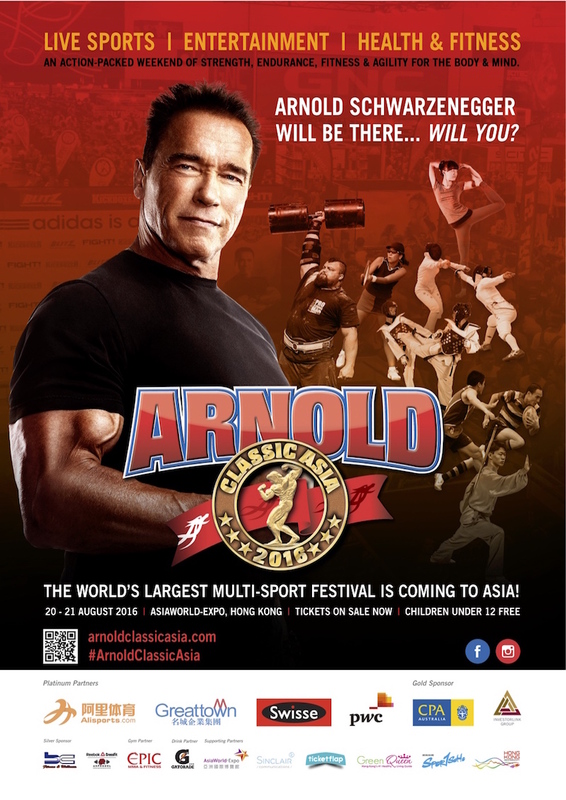 The world’s largest annual multi-sport festival is coming to Asia, with the inaugural Arnold Classic Asia being hosted in Hong Kong on 20-21 August 2016. An initiative of Arnold Schwarzenegger, it is a celebration of sports, fitness and health that brings professionals, amateurs and enthusiasts together in an atmosphere of competition, learning and sharing. It’s a festival for the whole family to participate in. 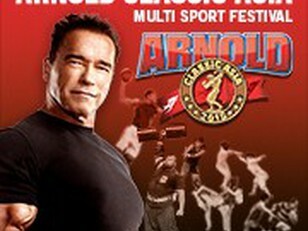 Arnold Classic Asia Multi-Sport Festival will see global and local sports stars come together over one weekend. The debut festival will feature unique, non-stop sports competitions and interactive workshops from over 20 sports. From mind sports such as chess and Rubik’s Cube, to table tennis, skip rope, rugby, arm-wrestling, weight lifting, cycling, yoga, rowing, martial arts such as tai chi, judo, krav maga, kung fu and more. Attendees will also be able discover the latest in health and wellness trends, with the chance to engage with over 300 participating brands. Established in the US 40 years ago, the festival has an international following on 6 continents including North America, South America, Europe, Africa, Australia and now Asia. Over 500,000 people around the world have attended an Arnold Classic in the last year, with over 30,000 athletes competing in 55 sports and events. Arm-wrestling, basketball, chess, CrossFit, cycling, dance sport (Hong Kong wheelchair dance sport), fencing, judo, jump rope, IFBB bodybuilding, IFBB fitness, kettlebell, krav maga, kung fu, pole fitness, rowing, rugby, strongman, table tennis, yoga, and more to be announced in the coming weeks.